Foursquare City Guide is a free location discovery app for iOS and Android. You can use it to find new places around you to visit based on searches or personalized recommendations given to you by the app. The Foursquare City Guide uses your device's GPS to identify your location and find places nearby that it can suggest to you. The more you use the app, the more it learns about the places you like to go so that it can recommend more places you'll probably love too. Recommendations are crowdsourced from Foursquare City Guide users just like you who've been to those places and have left good ratings and reviews. Similar to other location discovery apps like Yelp, OpenTable and others, Foursquare's recommendations are brought to you by its very own community. You can also look for specific venues that aren't related to food and entertainment, such as a nearby bank or a gas station. Download the free Foursquare app for iOS or Android. Once installed, open the app and sign up for a free account via your existing Facebook account or your email address. You'll be asked to give the app permission to gain access to your location. 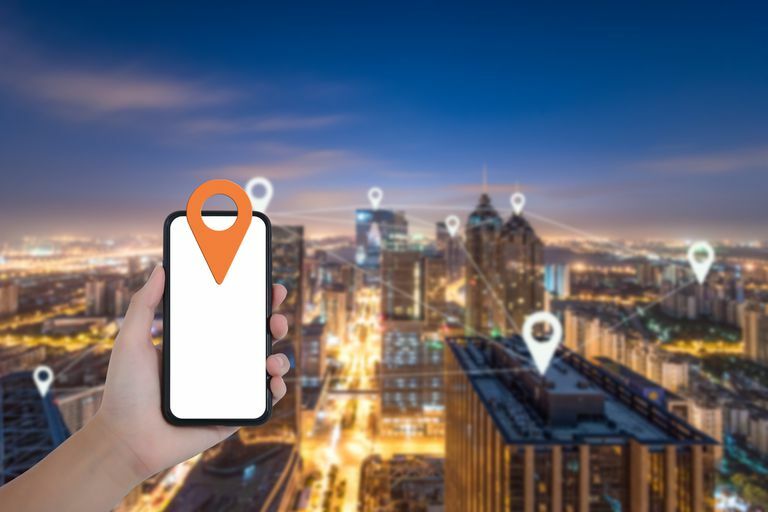 When you do, the app will continuously track your location as it runs in the background so that it can automatically take note of the places you go, even when you don't manually enter them into the app. As with any app that runs in the background, the Foursquare City Guide might drain your device's battery faster than expected while it continuously uses GPS tracking to track your location. If you don't care about automatic location tracking, you might want to go into your device's app settings and change the location access for Foursquare City Guide from always to only while using the app. There are four main tabs located in the bottom menu. Use the search field to type the name or type of venue into it to perform a search. The app will make automatic suggestions for nearby places as you type. You can also select a search area on a map if you want to look for something somewhere that's not currently near you. Alternatively, use the Breakfast, Lunch, Dinner, Coffee & Tea, Nightlife or Things to do buttons to see the top nearby choices in those categories. Each venue has a rating out of ten located to the right of its listing. Tap Filters at the top to filter results by relevance, distance, rating, price, places you've been, places you haven't been, places you've saved, places you've liked and more. See featured lists created by other users to help you discover hew places based on a common theme. For example, see and optionally follow a list of mountain and ski resorts, best places to eat or national parks. Create your own lists by giving them a name and description, then tapping Add to List... when you're looking at any venue's page. You can optionally make any of your lists collaborative so other users can add places to them too. As long as you keep the Foursquare City Guide's location access always on as it runs in the background, it will automatically identify places you physically visit and add them to your History tab. Just tap a location in your History tab to see its highlights, info, photos and tips. Tap the blue plus sign button in the bottom right to share, leave a tip, rate, check in, add it to a list or add a photo. The Me tab shows a feed of all your most recent check-ins along with some summarized information at the top (tips you've given, photos you've taken and followers you have). Tap the speech bubble icon in the top right to see notifications or the gear icon to customize your settings. In 2014, the original Foursquare app was split off into two separate apps: City Guide for location discovery and Swarm for social location sharing. Find out more about what Swarm is and how to use it.